This interview with Dan Zadra is the last in a series of interviews with the author about his inspirational books that are numbered in a series. This last interview is about his book entitled “7-How Many Days Of The Week Can You Be Extraordinary”. One of the things we discuss in our interview together is that fact that the average person has just 30,000 mornings they will awaken too. Think about that number for a minute, 30,000 mornings-how are you going to spend yours today? The key here is that this is your life, and don’t miss a day of it– every morning is precious. This message is accented by a great story about a 95 year old woman recounting her time here on earth, and her thoughts on how time flies, and that one morning she looked up and was 70 year old and as soon as she made the realization that she did not have much more time on this earth, she started to savor everyday and every moment and wanted to make a difference in the world. It does not have to be your 70th birthday before you make this realization about how each day is important. Learn to live for each moment —that is really all we have. We have all heard about learning to become a beginner again, but how many of us really practice it? We lose something wonderful when it becomes more important to us to be the one who knows than to be the one who’s open to the everyday wonders around us. “Those wo think they know it all have no way of finding out they don’t”, wrote Leo Buscaglia. Fortunately, our sense of curiosity and wonder can rekindled and refreshed. to be extraordinary then read Dan’s book “7-How Many Days Of The Week Can Be Extraordinary” he really provides sound advice and inspiration on how to live an extraordinary life. If you want more information about Dan Zadra, please click here to be directed to his company website. Or you can click here to be directed an interview with Dan on YouTube. In my ongoing series of interviews with Dan Zadra we speak about his book entitled “2 How Will You Create Something Beautiful Together“. As I have previously mentioned Dan’s books are easy to read, and extremely inspirational. This book is about finding love, then creating something together that is beautiful. Dan states ” Go where you’ve never been. Dream together, plan together, laugh together and grow together.” Wonderful words, but how in our busy world do we find the time to dream, plan and grow together. In my interview with Dan we explore the simple things that couples can do together to build a lasting and loving bound. Dan states that their are only four questions of value in life…. What is sacred? Of what is the spirit made? What is worth living for, and what is worth dying for? —The answer to each is the same. Love. Dan mentions that creating a couples mission statement is very powerful. I know that I have never done it, but I can imagine how this process would really unite people. He also talks about doing a couples journal, now that is a new one on me. I have never heard of a couples journal. Sharing thoughts, ideas and stories together sounds like it would be a kick and a way to grow closer with your significant other. No matter what your dream, if you share it with someone you really love–and someone who cares about you then your dream mean so much more. Likewise, if your spouse or significant other shares their inner most secrets it makes life all worth living. We are hear to bond, love, live and unite our common interests in helping to make this world a better place to live. Dan’s book “2 How Will You Create Something Beautiful Together.” is a great book to inspire, move and get you thinking about what is truly possible when you have your life to share with someone. Enjoy this great read and interview with author Dan Zadra. I am doing a series of interviews with author Dan Zadra on what I am referring to as his number series books. In this podcast we are going to be speaking about his book entitled “(1) How Many People Does It Take to Make a Difference?“. In my humble opinion the best part about Dan’s books are the amazing simplicity, yet positive impact they have on the reader. Yet again, in his book (1) How Many People Doe It Take to Make a Difference, Dan inspires the reader to believe in themselves and reinforces that we are not here by mistake–we all have a grand purpose in the greater scheme of life. This statement has such significant importance if you are going to make a difference. You are not here by mistake and you are here for a reason. The key is in finding your purpose and living it out. I know easier said than done, but we all have to start looking for our purpose and be brave enough to live it. Think about this little statistic that Dan so carefully placed in the book. Odds of bowling a 300 game 1 in 11,500. Odds of being hit by lightening 1 in 575,000. Odds of getting a royal flush on your first five cards 1 in 649,740. Odds of becoming the U.S. President 1 in 10,000,000. Odds of winning $340 million jackpot in MegaMillions lottery 1 in 175,000,000. Odds of being born in this particular time, place and circumstances: about 1 in 400,000,000,000. Amazing isn’t it. Best we make something of this wonderful life we are given. One of the greatest ways of making a difference is to be of service. Yes, being of service now matter what we do is truly how we make a difference. In an address in 2007 to the graduating students Bill Gates so eloquently stated ” I hope you will judge yourself not on your professional accomplishments alone, but also on how well you have addressed the world’s deepest inequities…on how well you treated people a world away who have nothing in common with you but their humanity.” So nicely said–what to make a difference in your own life, then help make a difference in someone else’s. If you want more information about Dan and his series of books please click here to be directed to the Live-Inspired website or click here to watch a great Youtube video. How many of you have ever asked this questions ” Where Will You Be Five Years From Today“?. Great question isn’t it. Not only is it a great questions to ask yourself, but a wonderful questions to start to go to work on and explore the possibilities. During my interview with Dan Zadra we discuss the importance of defining your personal values, and how this can be an amazing guide to helping someone ground themselves and get really clear as to what is matters most to them. I know that years ago I did this exercise, and I was amazed as how much power is in this little exercise. In the (5) book you are given lots of wonderful quotes, stories and mini-exercises. The layout is exceptional, as a matter of fact in all the personal growth and mastery books I have ever read, I have never found any as engaging, thought provoking and as easy to warm up to as the one that Dan created in “Where Will You Be Five Years From Today?”. The whole series of Dan’s books of which we are doing podcast for, all have a similar layout and intuitive design–easy, fun and engaging just the way you want a book to be. An important aspect of defining where you will be five (5) years from today is you ability to get in touch with you imagination. Dan and I discuss the importance of imagination and creativity and how to get back in touch with this aspect of ourselves that often gets supplanted the older we grow. It is so important to tap into our dream gene and take risks again-live, love, laugh and enjoy and dream the possible. Thinking big seems to fly over the heads of many of us. I know almost everyone has read the quote ” the greatest danger for most of us is not that are aim is to high and miss, but that it is to low and reach it.”. This quote says it all, aim high really high–who knows what synchronicity just might occur that will allow you to achieve your goal. We need to break our routines and do something new for the first time. All of us get to comfortable and are not willing to break out of the mold. It is time, we are in the dawning of a new age and abundance in all forms is all around us. As the Nike ad states “Just Do It“. click here to be directed to the Five (5) website, or you can join Dan on Facebook by clicking here. In my recent interview with Michael Hyatt the CEO of Thomas Nelson Publishing, and the author of a wonderful new book entitled “Platform-Get Noticed in a Noisy World” we discuss what is required for someone to get noticed in this very noisy and crowded world we live in today. Michael is one of the top business bloggers and holds the #1 spot as a Leadership blogger. 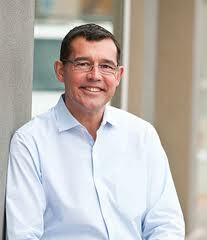 No doubt he is extremely well qualified to speak about getting noticed and building a platform. 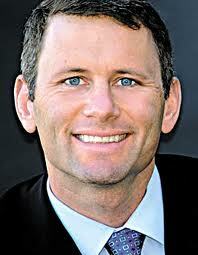 He states that “competition has never been greater and people are more distracted than ever. That being said, never before have there been so many ways you can connect with people if you do it right. Michael states that there are two critical parts of the success equation: a compelling product (the what) and a significant platform (the who). 1) Create products that people would love to use 2) Create products that solve problems in unexpected ways 3) Create product that exceed your customers’ expectations. Surprise , Anticipation, Resonance, Transcendence, Clarity, Presence, Universality, Evangelism, Longevity, Privilege. He says that being successful means becoming the expert in recognizing WOW when it shows up. More importantly, it means being able to recognize it when it is absent–and insisting that you ask yourself to deliver it. Michaels’ new book is loaded with tips and ideas to help anyone who is attempting to develop a platform. What I really enjoy about Platform, Get Noticed in a Noisy World is that the chapters are short 3-4 pages, easy to digest and filled with very useful tips and information that you can put to use immediately. If you are someone wanting to get noticed in this noisy world, then reading Michael’s new book is a must. If you would like to download a free chapter and watch an informational video about the book, then click here to learn more. You can also click here to be directed to the Facebook page. 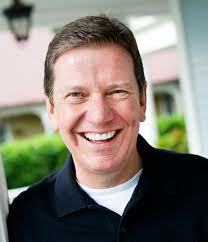 Enjoy this wonderful interview with author Michael Hyatt. I learned about author Jason Womack through a connection with author David Allen and an article which appeared in Productivity Magazine. I read the article about what Jason was doing, and thought he would be an excellent guest for Inside Personal Growth. In my interview with Jason about his new book entitled ” Your Best Just Got Better” we discuss what is required in our fast paced world what is required to work smarter, think bigger and make more. Jason and I both attended University of Santa Monica, and an idea that we speak about in our interview is something called the “Ideal Day” that we need to give credit to Ron and Mary Hulnick (our professors) at USM. I bet this is a foreign concept to most people, just what does an ideal day look like in your life. If you were asked to write it down, could you? If all you get from reading “Your Best Just Got Better“, is this concept then it is worth the read. Really, write down what an ideal day looks like for you and attempt to live it-it is amazing what will change in your life. Jason speaks about “thinking bigger“. Just what does thinking bigger mean, and why should you practice the art of thinking big. Jason states ” ask anone who works at the highest levels of professionalism—from business to athletics to government institutions–about the secrets to their success, and they are bound to tak about their mind-set. Mental rehearsal–that is, visualizing something before it actually happens–is a great way to set yourself up for success. It establishes the foundation for the results to come. This practice of visualization and thinking bigger is so very important to raising your level of success and reaching for a new goal, unfortunately this simple practice is not engaged into enough, and it really works—it also produces amazing amounts of energy giving the drive to accomplish the dream. There are lots of power packed ideas in “Your Best Just Got Better“, and two of them we speak about in our interview is the IDEA card, and what he refers to a MIT (Most Important Think). Jason carries a small note book and he has what he refers to as an IDEA card in the notebook, the acronym stands for Identify, Develop, Experiment and Assess. He recommends spending time everyday writing your ideas down on paper, capture them for they are the gold that will propel you into a new businesses, product development and collaborations with others. The MIT concept is quite simple–are you focusing on the most important thing. We all know how our in-boxes get full of stuff, but really how important is it. Get in the habit of focusing your attention on the most important thing. I highly recommend ” Your Best Just Got Better” the book is filled with great ideas, stories and practices to stimulate you to shift how you process physical stuff as well as how you deal with shifting your mental perspective about life and living. If you would like more information please visit Jason”s website by clicking here, or watch one of his YouTube videos by clicking here. Enjoy this wonderful interview and podcast with author Jason Womack. It was a pleasure interviewing Robert V. Taylor about his new book entitled ” A New Way to Be Human: 7 Spiritual Pathways to Becoming Fully Alive.” This book is not just about another way to find your spiritual path. Through Robert’s story you get to learn about his own personal spiritual path, which by the way is truly fascinating. Robert was born and raised in South Africa and had the distinct pleasure of working along side Desmond Tutu’s during the apartheid movement. He also graduated from seminary school at Union Theological School and become the highest ranking openly gay clergy person in the Episcopal Church. As you can already imagine his own personal spiritual journey makes him uniquely qualified to write and speak on this topic. One of the important things that Robert advocates within “A New Way To Be Human” is to share your own story. As he states sharing your story reveals the Holy present in you, speaking through your story to yourself and others. If , on the other hand, you choose not to share your story, you choose to dishonor, devalue, and disbelieve the truths that your life reveals. How right he is about stepping into your own and being proud of your story–it is the foundation of who and what you are, it is your authentic-self being expressed. Robert makes reference within the book about stepping stones, and you will hear us speak about these stepping stones throughout the interview. He discribes Stepping Stone Two as: Accepting the Invitation. He states when you are secure in your own story, you discover that the stories of others offer you an invitation. As you accept these invitations, the vibrancy of the Holy at work infuses your life as you love, live, and celebrate your connection with others. Transformation happens. Throughout the book Robert has provided the reader with wisdom and invitations to explore their own spiritual life at a very deep level. He also provides “Spirited Practices” designed to inspire you to awaken to your own spiritual expression and path. These are just friendly reminders at the end of each chapter that jolt you into awareness about your spiritual journey and practices. If you are on a spiritual path, and want to explore “A New Way To Be Human” I encourage you to read, practice and open up your heart to the ideas and stories that Robert has carefully crafted into his book. If you would like more information about Robert V. Taylor you can click here to be directed to his website, or you can click here to be directed to his Facebook page. 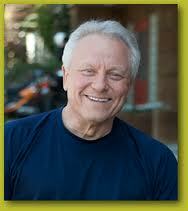 Enjoy my wonderful interview with a great author and spiritual leader-Robert V. Taylor. I recently attended a conference in San Diego where author Chip Conley was one of the keynote speakers. I was throughly taken by Chip’s personal story, and his new book entitled ” Emotional Equations-Simple Truths for Creating Happiness and Success . I have been interviewing authors for over 5 years and have been immersed in the personal growth field for over 30 years. Chip Conley’s new book “Emotional Equations” is the real deal. It is easy to understand, and I love how Chip has taken what sometimes can be difficult ideas to convey, and created equations out of them. His formulas help the reader take universal truths and turn it into a visual lexicon for mastering your life challenges. I dont’ know how many of my listeners have read the classic book by Victor Frankl entitled ” Man’s Search for Meaning“. If you are not familiar with the story it is about Frankl’s agony in the Nazi concentration camp. The essence of this book is that the Nazi’s were attempting to break down the prisoners mentally, and in Frankl’s words“everything can be taken from a man but one thing: the last of the human freedoms—to choose one’s attitude in any given set of circumstances, to choose one’s own way.” Chip has distilled the essence of “Man’s Search for Meaning” book into this wonderful equation: Dispair=Suffering-Meaning. How simple!! Some of Chips’ other equations are: Disappointment = Expectations-Reality or Joy=Love-Fear. No matter what emotion, Chip has a formula. Chip states that their are parallels between math and life. He states that when he was at is lowest point in his life that the “Meaning Equation” (above) gave him the knowledge and conviction that if he placed his attention more on the meaning of his disparate collection of painful events, as apposed to the suffering, that he would likely have less dispair in his life. He states that during his more troubled weeks, the equation felt as if it was his instructions manual for deactivating his emotional explosives. If you are currently dealing with pain or suffering in your life, then I would highly recommend that you read Chips’ new book “Emotional Equations“. I personally love how he has distilled our emotions into equations,almost as if the equations diffuse our personal connection to the painful emotions, and allow us to see the situation so much more clearly. In all my years of working in the personal growth, mastery and human potential movement I have never come across a book like “Emotional Equations”. It is a must read for anyone seeing to better understand their emotions! If you would like more information about Chip Conley then just click here to be directed to his website. You can also click here to be directed to his Facebook page. 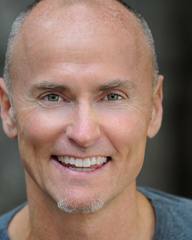 Enjoy this wonderful interview with a great inspirational author Chip Conley. If you haven’t been paying much attention, “Abundance-The Future is Better Than You Think” has been on the NY Times best seller list for weeks. In my interview with co-author Steven Kotler we explore the many topics covered in the book that are wonderfully articulated to guide the reader in understanding that we are living in unprecedented times. Yes–we have our share to world problems, but on the flip side of the coin technology and science are moving at breakneck speeds and are solving many of these problems–and guess what? Our standard of living is better than ever. Steven points out that the focus of the book is to help change people mindsets. As fundamental as this sounds, it is a core problem in our society today. Our brains are designed to be pessimistic when it comes to getting our heads around global problems we are challenged, but we do much better and are more optimistic when it comes to issues that are in our reach. Fueling this pessimism is our news media, as Steven states ” if it bleeds it leads” referring to how our media loves to report the doom and gloom and infrequently reports what is good about the world. Abundance certainly takes the bold contrarian and optimistic viewpoint for today’s cynical times, but the authors give proof that we are not living in such dire times. Steven cites that poverty has decreased more in the last 50 years than in the previous 500. At a global level, the gap between wealthy nations and poorer nations continue to close. Despite plenty of hardship we are living longer, wealthier, healthier lives. The authors state that three (3) current forces are leading our world toward abundance. 1) A Do-It-Yourself revolution of backyard thinkers, which now extends far beyond homebrew computers and custom cars it is outdoing governments with high-impact innovationsin neuroscience, biology, genetics, nanotechnology and robotics. 2) A new source of techno-philanthropists who are dedicating their fortunes to solving grand, abundance-related challenges. 3) The poorest of the poor, the so-called “bottom-billion” have been plugged into the global economy by the internet, micro-fiance, and wireless communications. By the end of 2013 , over 70 percent of the world’s population will have access to low-cost communications. This perfect convergence of technology, science and communications is forging an opportunity for abundance and equanimity worldwide. I certainly agree with the authors viewpoint, and have seen massive changes “for the good” in our society. If you want to get the facts, and learn more about what amazing technological and scientific advancement will change our world, then you need to read and study “Abundance“. You will be glad that you did. If you want more information the author have an amazing website, and you can click here to be directed to it. You can also visit the Facebook page by clicking here, or watch some great YouTube videos about the book. 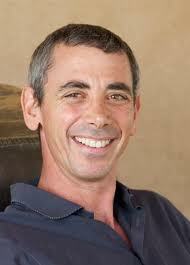 I hope you enjoy this great interview with a “thought leader” in the field of science, technology and spirituality–Steven Kotler. Podcast 507: Slim by Design with Brian Wansink, Ph.D.